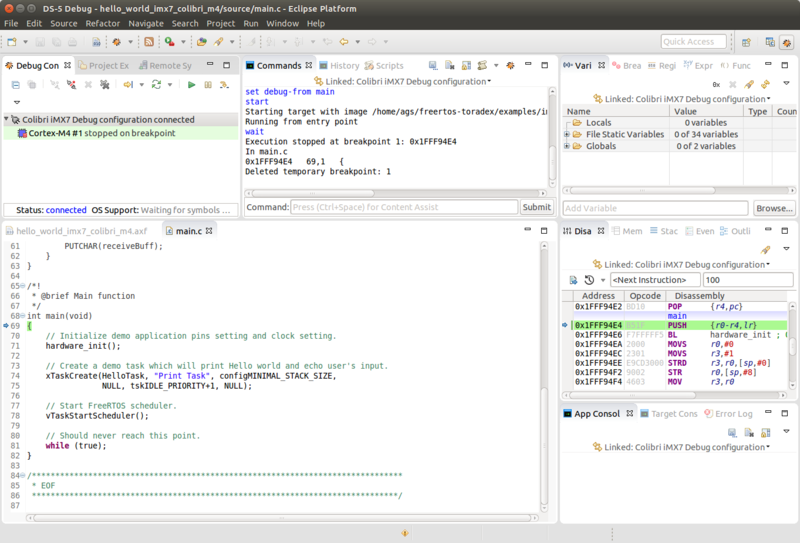 This article describes how to build, run and debug firmwares for the Cortex-M4 using ARM's DS-5 IDE. The article is based on the Getting Started document of the NXP FreeRTOS BSP (see the doc/ sub-folder of the FreeRTOS source directory). Download ARM DS-5 from the official website and install it according to the installation instructions in the provided readme.html file. Especially, note the required 32-bit libs. 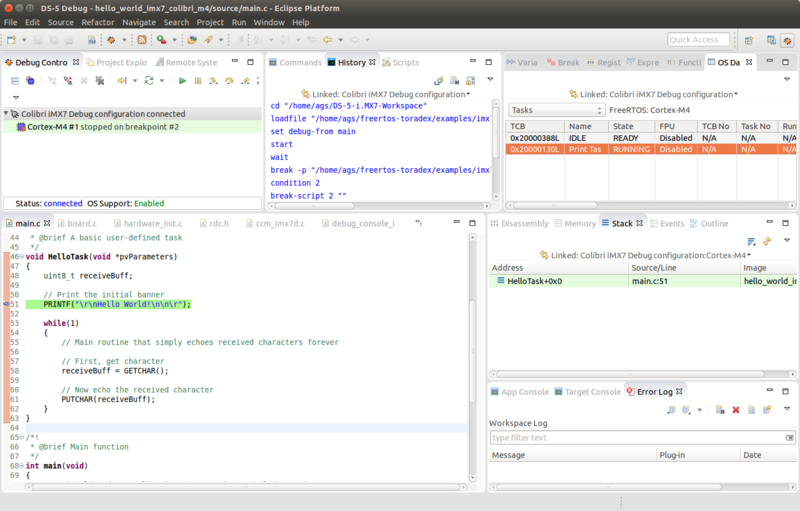 Note that the sources do not need to be within a DS-5 (Eclipse) workspace in order to compile and run the project. 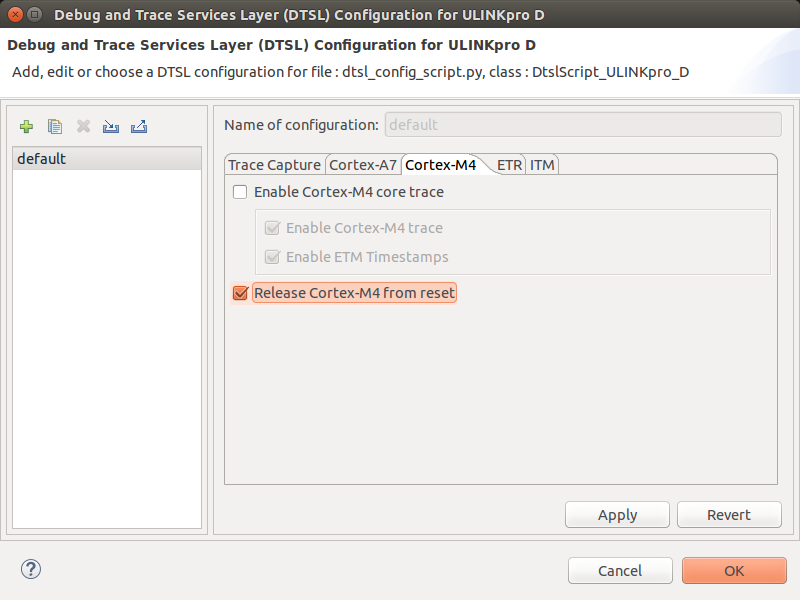 In fact, since the FreeRTOS BSP also supports other build systems, it is more appropriate to keep it in a separate folder, not directly related to DS-5. 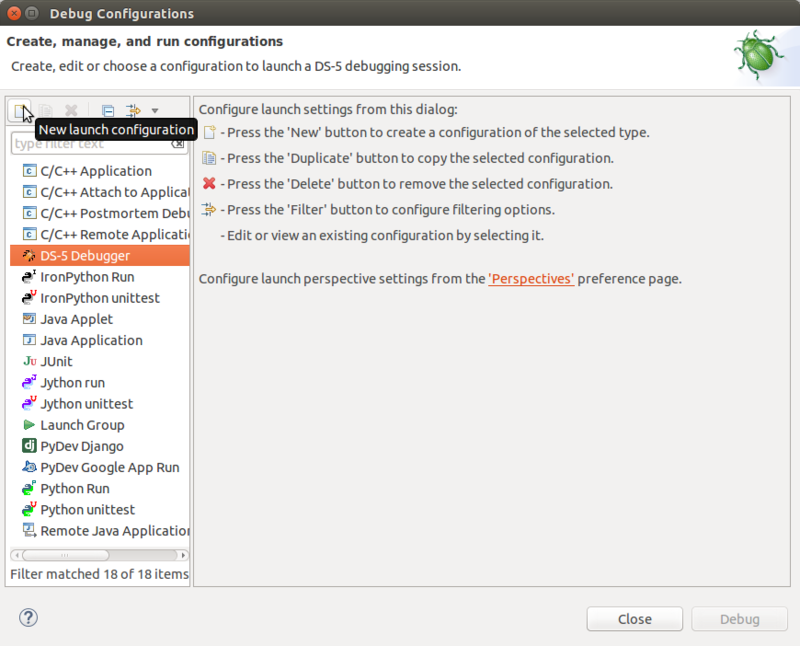 All examples include project description files (.project/.cproject) for DS-5. The project description files include all necessary source, headers and linker files to build FreeRTOS, middleware (rpmsg) and the application itself. 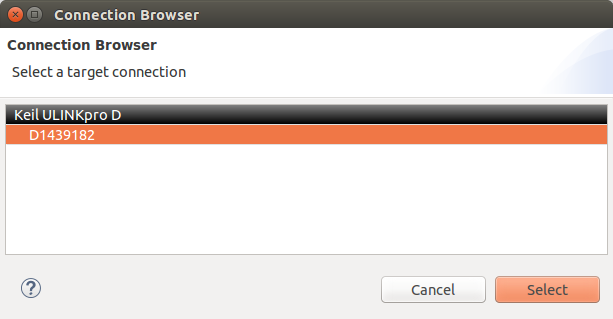 Use the File -> Import to import the project. Choose General -> Existing Projects into Workspace in the Import Dialog and press Next. Choose an example folder in the "Select root-directory" field e.g. 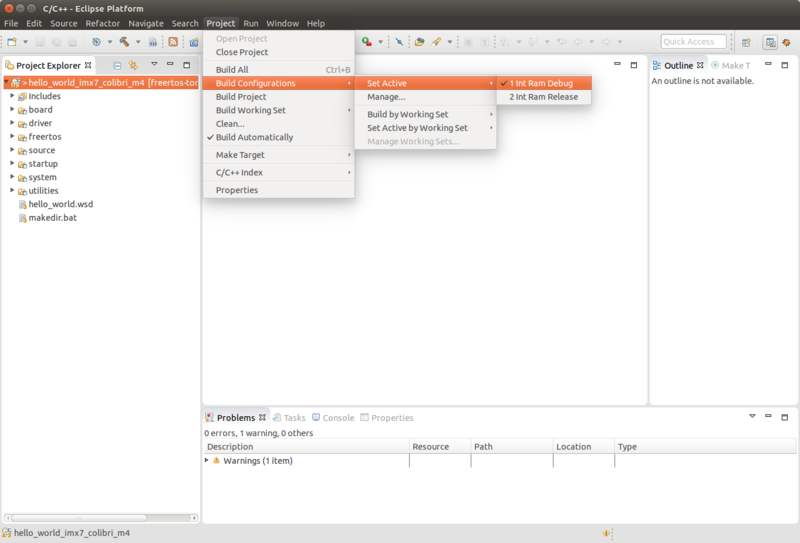 There are two project configurations (build targets) supported for each project. In this example we are going to use the Debug target. Int Ram Debug – Compiler optimization is set to low, and debug information is generated for the executable. This target should be selected for development and debug. Int Ram Release – Compiler optimization is set to high, and debug information is not generated. This target should be selected for final application deployment. Use the hammer symbol to build the project. It should succeed without errors. The main build output is the axf-File, which is a elf file binary for the target. 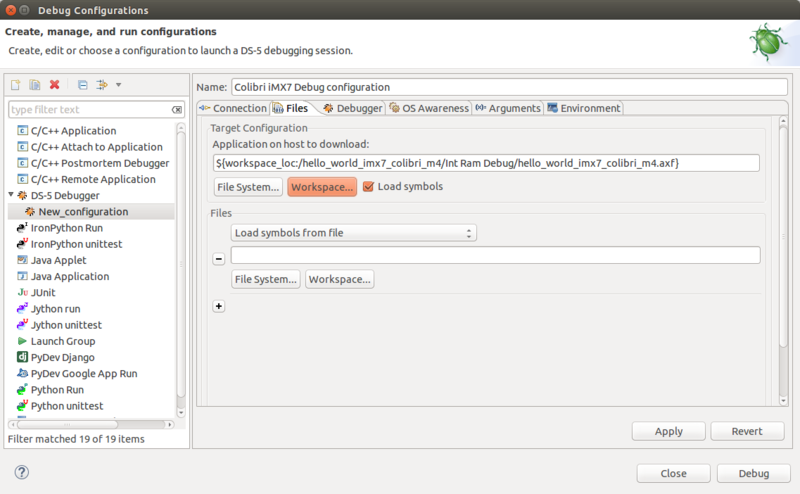 DS-5 allows to open the file and shows elf header information. 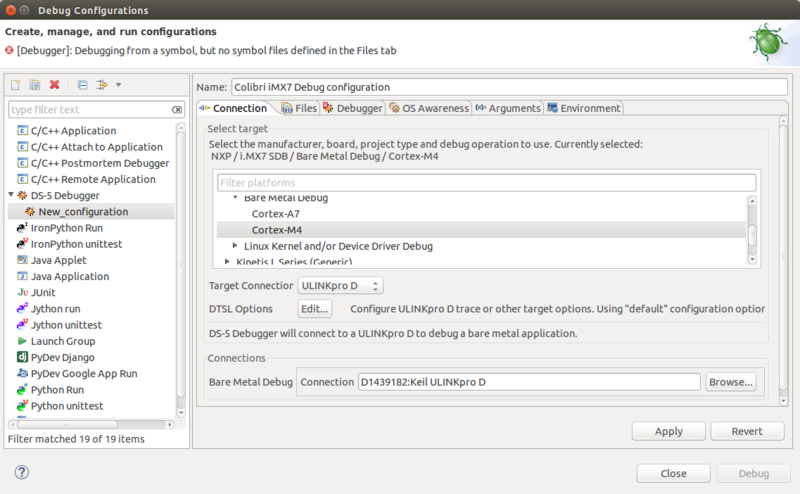 Bus 004 Device 005: ID c251:2740 Keil Software, Inc.
Give the configuration a sensible name such as "Colibri iMX7 Debug configuration"
Under Connections, click Browse... and select the target device (if it does not appear, check lsusb and whether the post-install script has been successful executed the udev rules should be in /etc/udev/rules.d/ARM_debug_tools.rules). 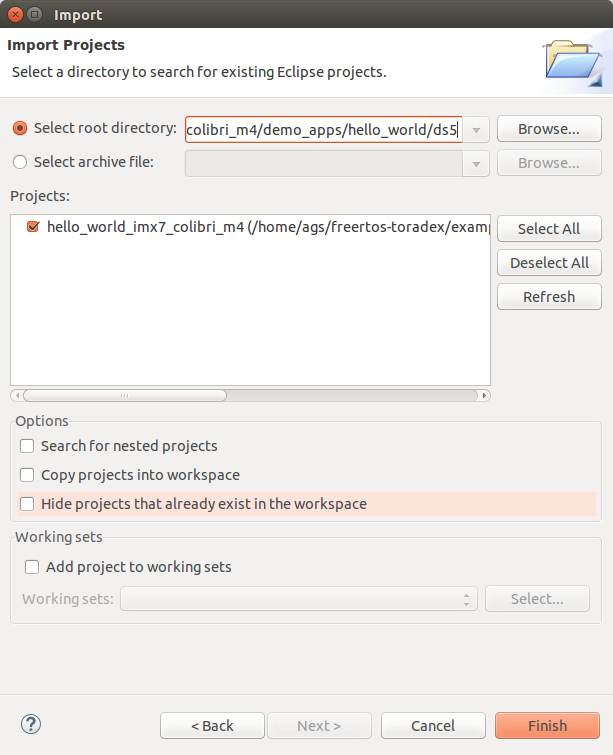 In the Files tab, select the application to download using the Workspace... button (browse to the axf file). In the OS Awareness tab, select FreeRTOS (or None in case you plan to build a bare-metal application). To use FreeRTOS OS Awareness some preprocessor defines need to be configured (see the information in that same tab). Refer to the chapter below how to configure the preprocessor defines. Click on Apply and then Launch. 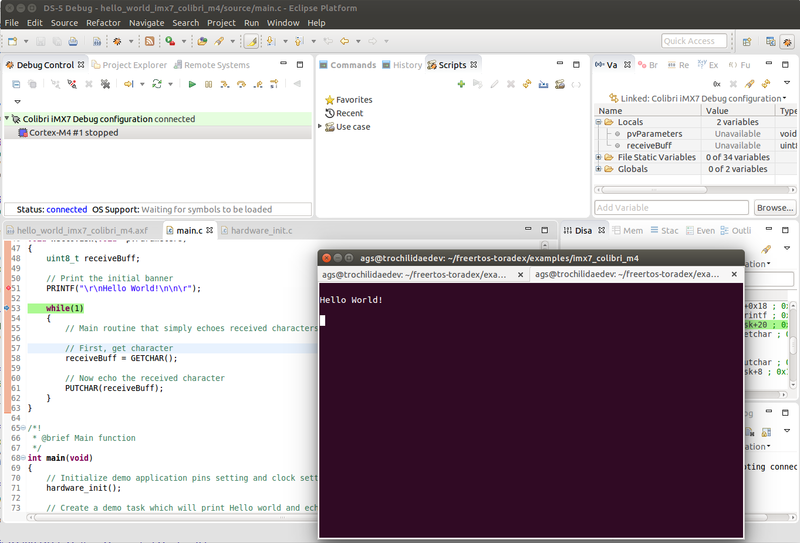 The IDE will switch into the Debug perspective, connect to the target, download the firmware and reset/start the Cortex-M4 core. The debugger should halt at the main function. Use F5/F6 to step by source line. To create a breakpoint at a certain location, double click on the left-hand margin. 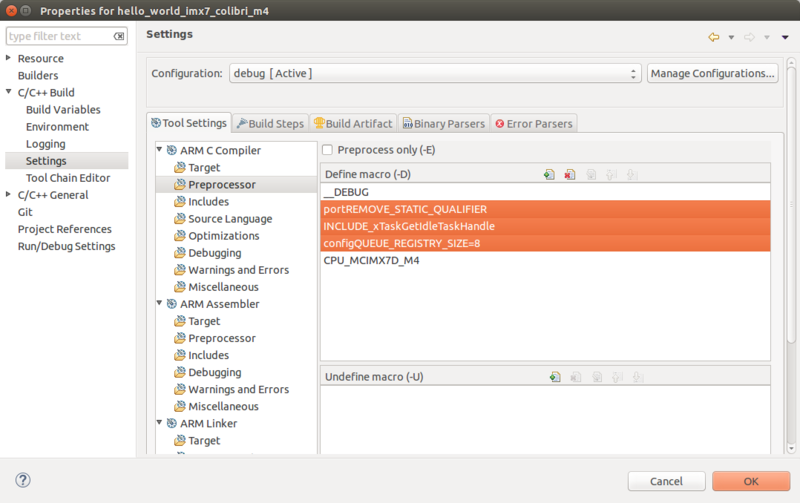 Under C/C++ Build -> Settings choose the Preprocessor settings under ARM C Compiler. Use the serial console of U-Boot available on UART_A and type the following commands. With the last command the application should start. For the final deployment the firmware should either be stored inside the UBIFS root file system or a static UBI volume. U-Boot commands similar to those used to load the Linux kernel/device tree can be used to load the firmware. Making this sequence as part of the default bootcmd of U-Boot will make sure that the firmware gets started at system boot even before Linux starts.